COLOR: Light gray in the color. Medium / large grains with notes of summer truffle (Tuber aestivum Vitt.) pieces. 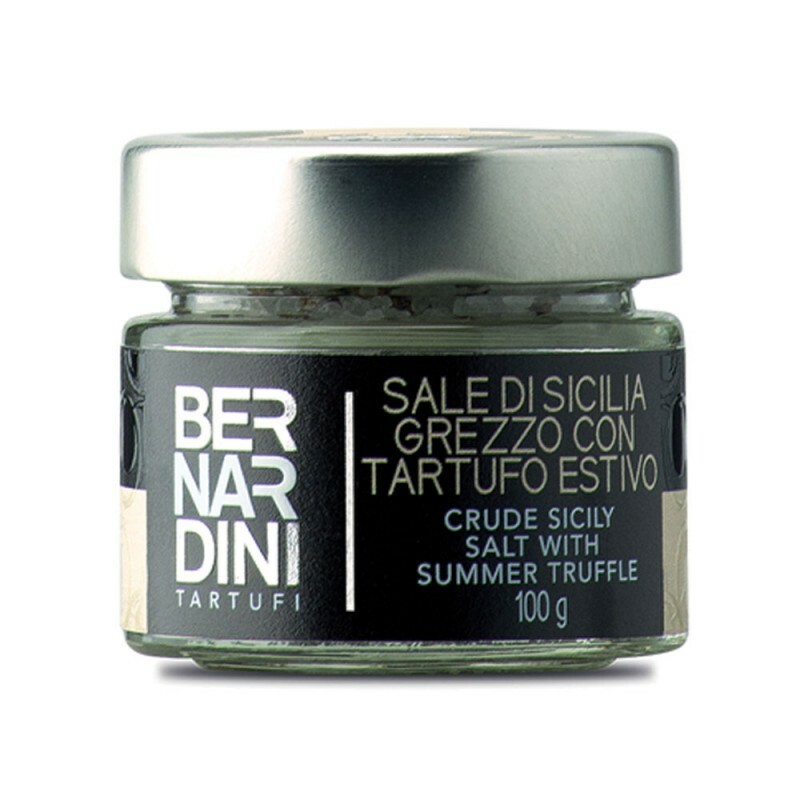 INGREDIENTS: Crude Sicily salt, summer truffle ( Tuber aestivum Vitt. ) 2% ( corresponding to the 8% of fresh truffle ), flavor. USEFULL INFORMATIONS:The mine salt is in a solid form and can be found in Sicily, where residues of ancient seas, have given rise to these fields. The extraction is done in a mechanical way and generally the pure salt obtained is not subjected to refining treatments. Preferably use raw on all types of food that have not been previously salted. Ideal for salting meat, fish and vedure grilled and boiled. PRESERVATION: 24 Months room temperature. Store at room temperature far from direct light and heat sources.